Whatever talent you set out to build, from golfing to learning a new language to playing guitar to managing a startup, be assured of one thing: You are born with the machinery to transform beginners’ clumsiness into fast, fluent action. that machinery is not controlled by genes, it’s controlled by you. Each day, each practice session, is a step toward a different future. This is a hopeful idea, and the most hopeful thing about it is that it is a fact. 2. 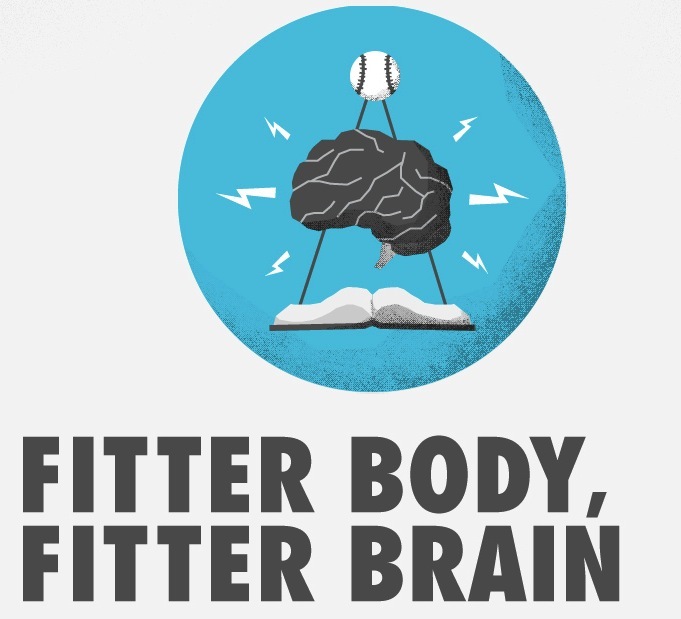 Working Out Doesn’t Just Make You Stronger, It Makes You Smarter [via FastCompany] Useful infographic that reminds you how important exercise is for your gray matter. 3. 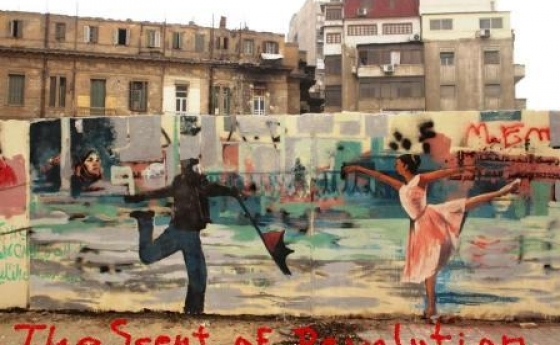 Scent of Revolution (Ra’ihat Al-Thawra) – A dear mentor of mine is seeking funds to finish off her most recent documentary. Viola Shafik is the author of the esteemed Arab Cinema and film maker/curator based between Berlin and Cairo. Based on the film’s trailer and description, it seems that this doc will be a multi-threaded, cross-sectional look at the complex relationship between Egypt’s past, present and future. She seems emotionally tied to finding some answers to where Egypt is going post-Mubarak. While there’s no shortage of films on the recent Egyptian revolution, I think few take such a nuanced look at the events as she has. With the film in the can, she’s seeking $18k for post – if you’re a fan of Arab cinema and want to be part of it, definitely pick up her book and try to support her film with whatever spare change you have. 5. I’ve spoken before about Skillshare, now they’re offering hybrid classes that allow students to take online classes and meet up in their respective cities for further discussion. Really interesting selection so far, I think I’m going to sign up for Build Your Creative Empire, and I just sent in a proposal to teach a Kickstarter Your Dreams class. I’ve attempted these past few months to organize a workshop on screenwriting with two community centers. These plans keep falling through so I thought I’d take the initiative and organize something on my own. There’s an online marketplace called Skillshare where you can find classes to take in your city or post one of your own you’d like to teach. Their template allows you to quickly create a class and build an audience of potential students. You’re able to follow other teachers and your students are able to leave you feedback. I’ve posted three short workshops I feel qualified to teach. We’ll have to wait to see what the response is but it was a great exercise to organize my ‘marketable skills’ and advertise them like this. You can check out my teaching & classes profile here. I’m assuming many of you reading this also have skills you can leverage to organize and teach a class of your own. I recommend you do so, as it’s a great way to reenergize your craft, give something back to your community and earn some extra cash to invest in your creative ambitions. Drop me a line if you do organize a class on Skillshare – I’d like to follow your progress. If we want to cultivate expertise, or “genius,” or whatever you want to call it, we need to be able to step outside of ourselves, observe how we are operating, reflect on what could be better, theorize how we could change it, and then test out a solution. The problem is: This is very, very hard for most people. The best way to learn anything is to do it, to struggle through, to forge on, to fight and gnash teeth and curse at. There is no knowledge as highly regarded as that which you have to work for. You have to work at what you’re not good at. In theory, people can do this themselves. But most people do not know where to start or how to proceed. Expertise, as the formula goes, requires going from unconscious incompetence to conscious incompetence to conscious competence and finally to unconscious competence. The coach provides the outside eyes and ears, and makes you aware of where you’re falling short. This is tricky. Human beings resist exposure and critique; our brains are well defended. So coaches use a variety of approaches – showing what other, respected colleagues do, for instance, or reviewing videos of the subject’s performance. The most common, however, is just conversation. Part of the resistance against making decisions comes from our fear of giving up options. 5. ‘Everything Is a Remix‘ (Kirby Ferguson) Amazing to realize the patterns in art and film and begin thinking in terms of ‘recipes’ and how everything is a remix of something else. Creativity isn’t magic: it happens by applying ordinary tools of thought to existing materials. And the soil from which we grow our creations is something we scorn and misunderstand even though it gives us so much — and that’s… copying. 6. ‘How To Steal Like An Artist‘ (Austin Kleon) Down to earth guide on how to start ‘stealing’ or borrowing from others as a starting point for what you’re working on. Art is all about the slow accumulation over time. 7. ‘The 50 Things Every Creative Should Know‘ (Jamie Wieck) Not applicable across all creative fields but there’s definitely some points you can save for reference. You can use this as a template to come up with your own ‘essential 50’. IF YOU’RE GOING TO FAIL, FAIL WELL: Being ambitious means you have to take on things you think you can’t do. Failures are unfortunate, but they are sometimes necessary. 8. ‘How underdogs can win‘ (Malcolm Gladwell via The New Yorker): Written a while back something I keep referring to and that’s fits nicely on this list. While grit is an essential part of success, so is street smarts; sizing up your reality and figuring out how to leverage what you have despite your weaknesses. What ‘rules’ or conventional wisdom in your field can you break to your advantage? It is easier to dress soldiers in bright uniforms and have them march to the sound of a fife-and-drum corps than it is to have them ride six hundred miles through the desert on the back of a camel. It is easier to retreat and compose yourself after every score than swarm about, arms flailing. We tell ourselves that skill is the precious resource and effort is the commodity. It’s the other way around. Effort can trump ability—legs, in Saxe’s formulation, can overpower arms—because relentless effort is in fact something rarer than the ability to engage in some finely tuned act of motor coordination. 9. ‘Lab Notes: My Closed-Loop Research System‘ (Cal Newport via Study Hacks): How to mix daily work, with ‘little bets‘, and make sure you’re working towards mastery and discovery. 10. ‘How Weekend Projects Can Free Your Inner Rock Star‘ (Kevin Purdy via Lifehacker): Pursue new projects with time constraints to achieve outside of your expertise and experience. 11. ‘Try something new for 30 days’ (Matt Cutts via TED.com): Last spring I tried writing poetry for 100 days straight and had phenomenal results. Something I’ll probably repeat this year for a different activity. Here’s a short guide to devising your own month-long challenges for 2012.